I've owned my Moto X for nearly a 5+ months on the Sprint Network in the SF Bay Area. And I've loved using it. In fact, my Moto X gets used for almost everything. When I'm on public transportation, I'm using my Moto X to pass the tie (either a game or pre-downloaded podcast). When I'm biking or hiking, I'm using my Moto X to tracking my performance. When I'm driving somewhere new, I'm using my Moto X for directions. When I'm hosting a party, my Moto X is streaming music on wifi. When I'm on vacation, my Moto X holds my days activities and schedules. So I was surprised when on my trip to Washington DC, my Moto X randomly reboot. Most of the time, the reboot would happen when I pressed the power button to lock the screen. Less often, it would reboot when I was launching a new app or website. Unfortunately, the rebooting started at a very inopportune time and quickly became very annoying! I'd be halfway through finding instructions from one attraction to another when a reboot would happen. This involves going to each application and turning deleting the cache. Go to [Settings > Apps] and for each application under [All], click [Clear Cache]. Though this may delete application specific data and logins, it may have wiped out an offending app with corrupt data. This however did not resolve my issue. The next solution is to clear Android's Cache Partition. This would not delete your data, but clear a cache of data. This one requires a reboot of the phone and to enter safe mode. It is a bit more complicated, but the instructions can be found at Moto X website. If the link gets out of date, try Googling 'moto x clear android cache'. Unfortunately, this did not resolve my issue. Since this will wipe all your data, make sure to back up all your data (photos, contacts, apps). You will have to re-install everything. To do this, go to [Settings > Backup & reset > Factory data reset]. I did not attempt this until after my vacation ended, but the factory reset also did not resolve my issue. Luckily, I saw you can try to contact Motorola with Moto X issues. I contacted Moto X and explained my issue to them via chat. After just one chat session of less than a 30 minutes, I had a order in the system for them to send me a new Moto X (redesigned again) and free way to return my malfunctioned phone to Motorola. Even though the reasons they gave me for why my phone felt completely bogus (overcharging my phone), I was glad that their support line could handle my replacement phone in a very timely manner. 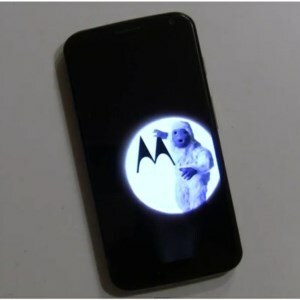 I was impressed with Motorola's Customer Service!